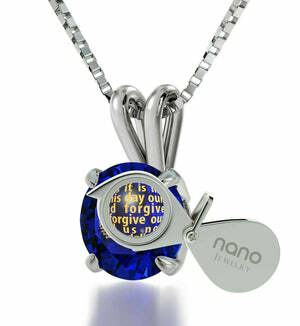 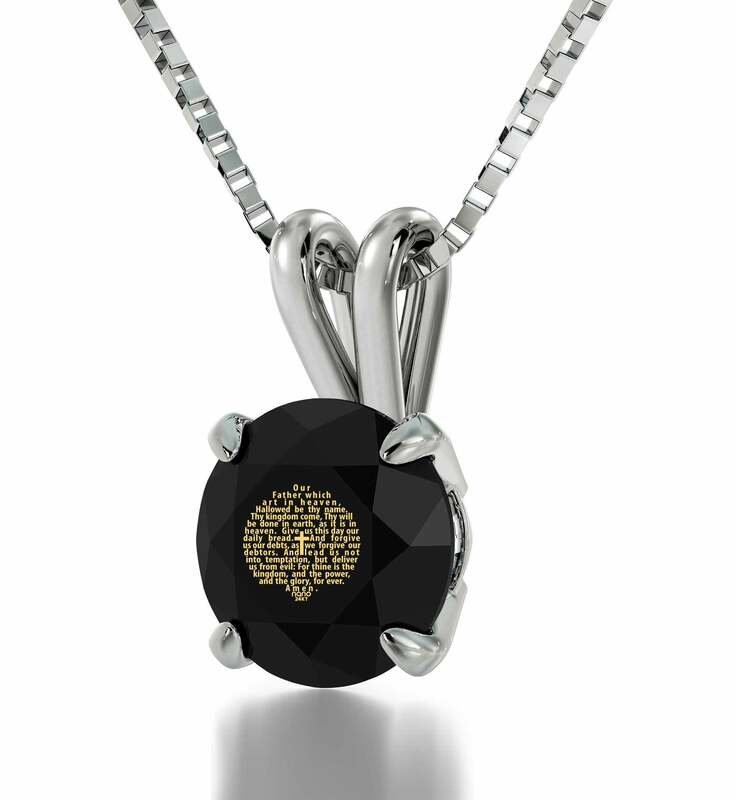 Christian necklaces imprinted with excerpts from the Bible have a way of strengthening and comforting the soul. 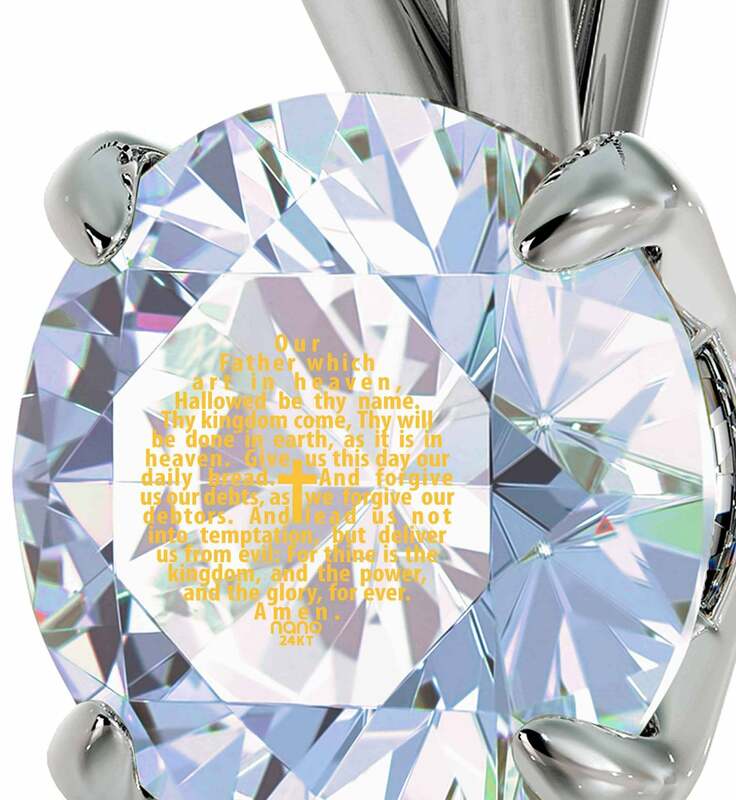 There’s something special about being in close physical contact with its words and going over them anywhere. 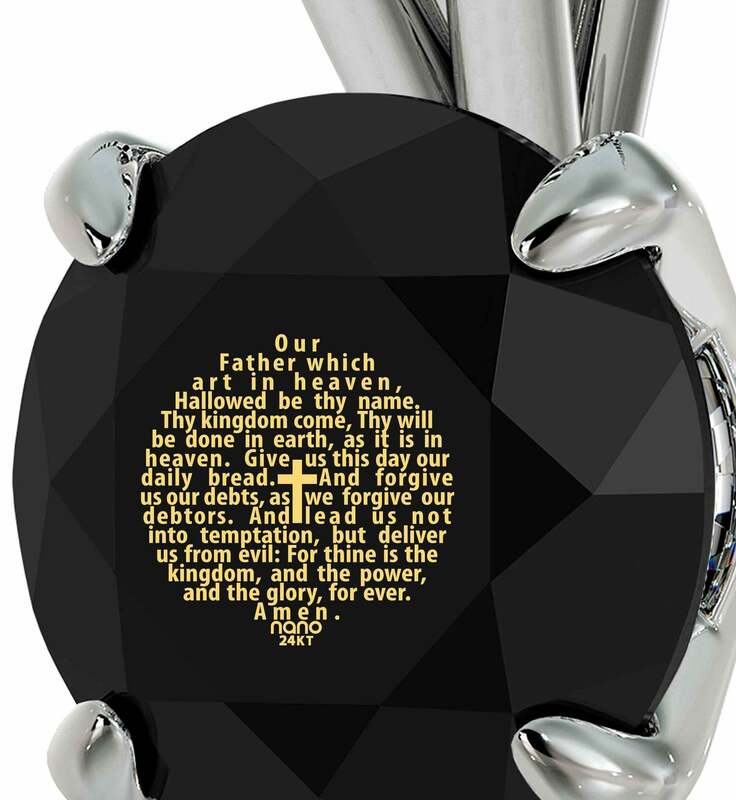 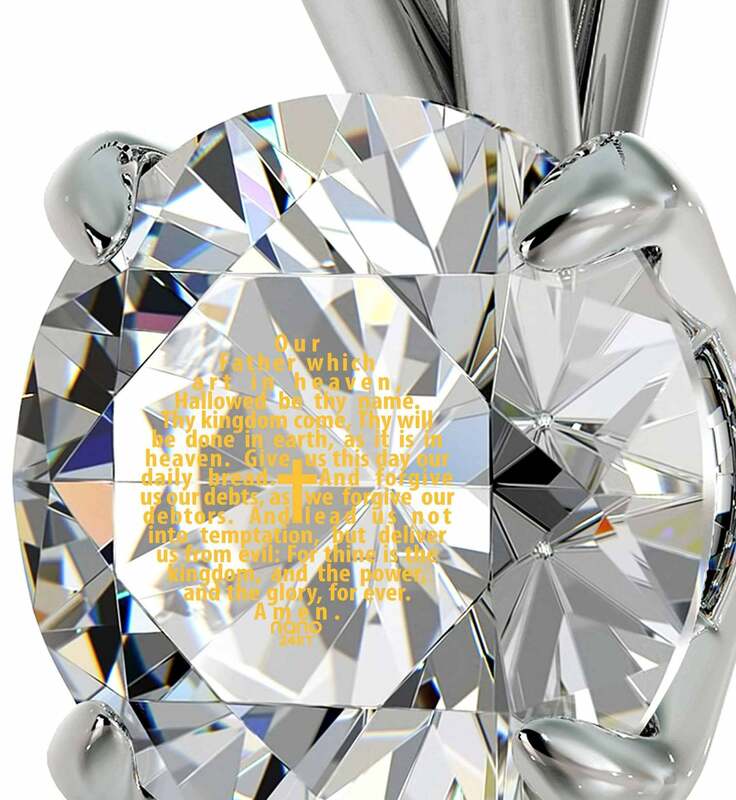 Pocket Bibles are so popular because of that, but for smaller passages like the Lord's Prayer which are most important to her, an inspirational & artistic piece of Bible verse jewelry is certainly a more elegant solution. 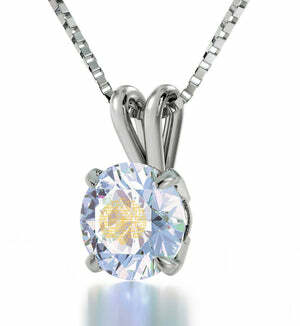 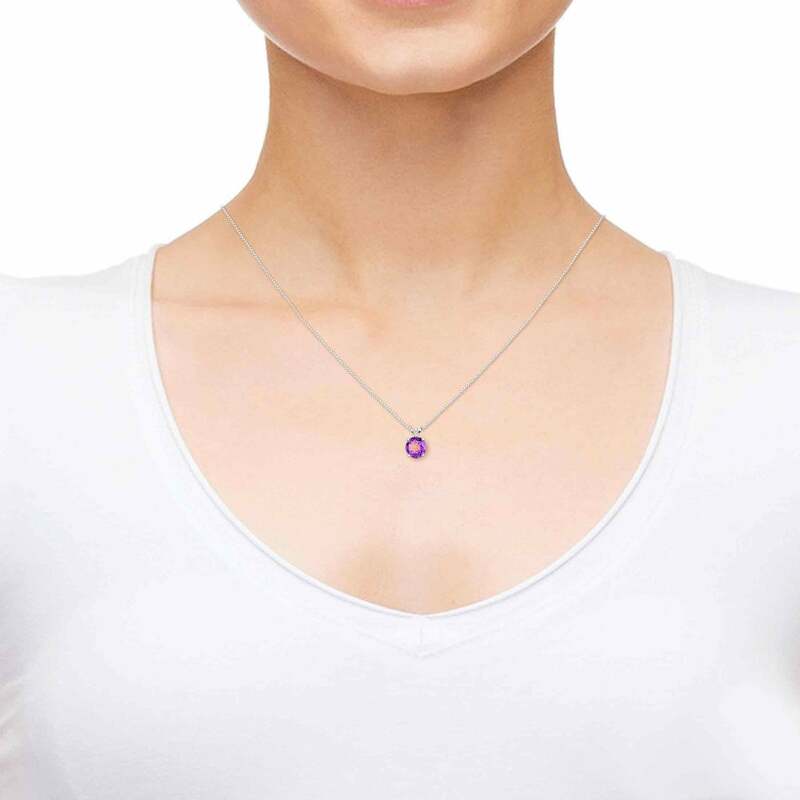 Especially when it looks as refined in its sterling silver as this solitaire-framed necklace does! 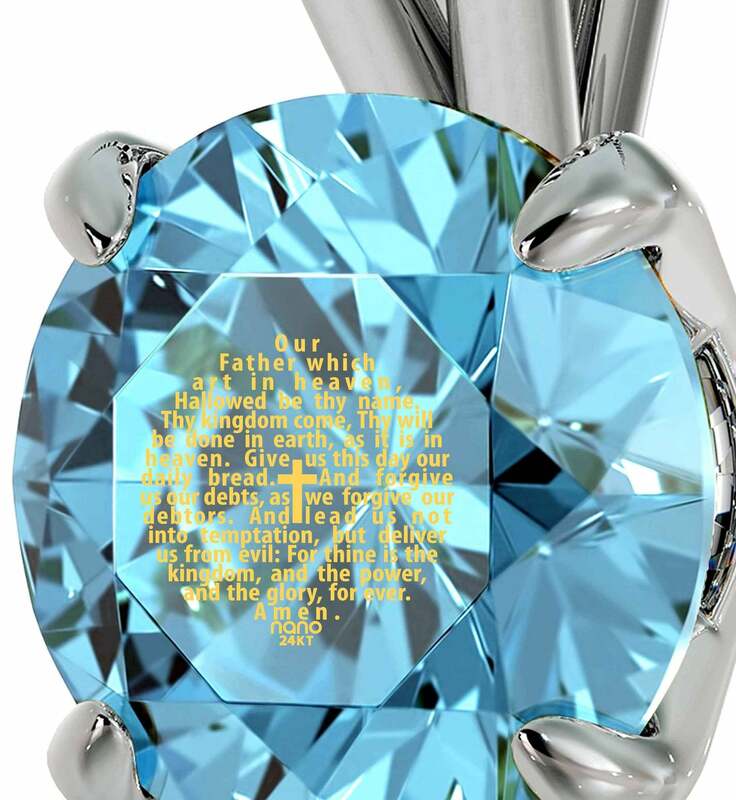 Held by an intriguing box chain & featuring a specially-faceted Swarovski gem in one of 6 colors, it bears the words to the Lord's Prayer in unashamed delight. As it should, since they’re there in 24 karat pure gold and in full as King James’ scribes translated it. 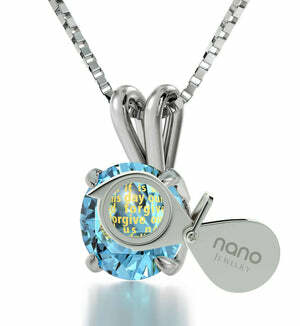 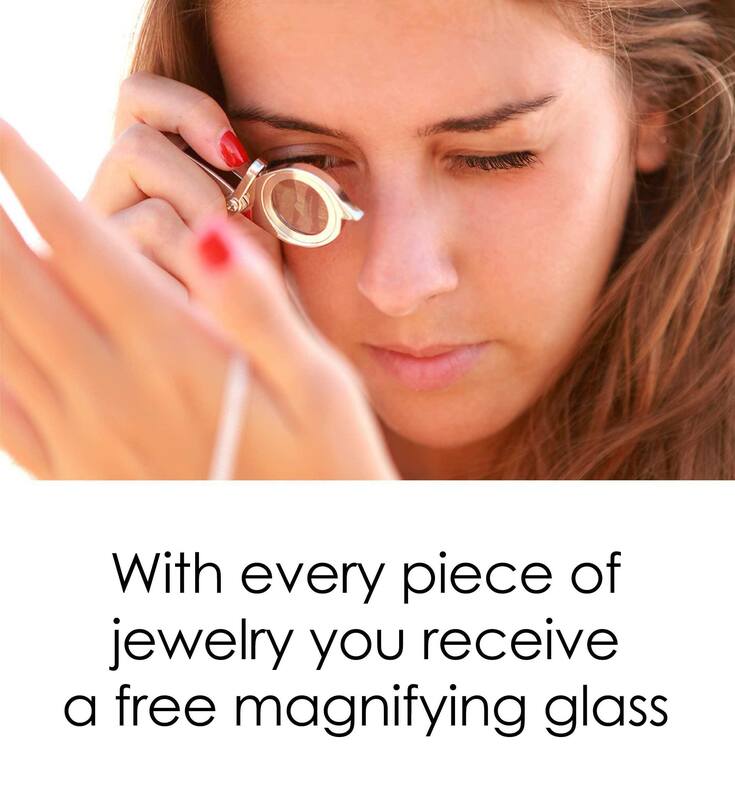 The small, detailed text is a hallmark of Nano Jewelry’s advanced inscription techniques which others have yet to find out a way how to imitate, giving the religious necklace genuine uniqueness. With a top gift for women such as this there are simply no drawbacks. 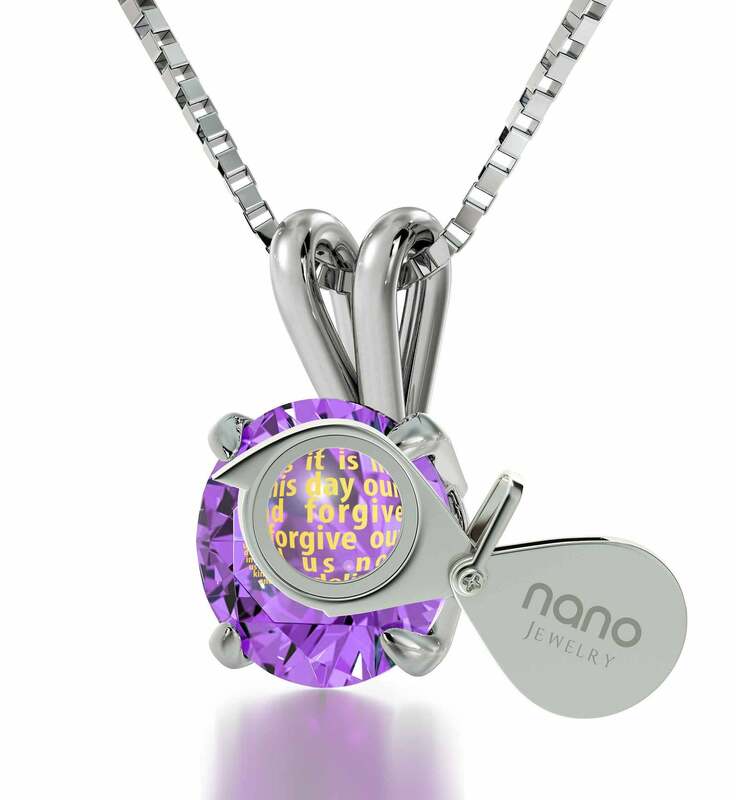 No even the prayer’s small size is going to be an obstacle since we’re giving her a powerful magnifying glass perfect for peering into the necklace’s every nook & cranny too! Its own box wraps everything up and will give her somewhere to put the necklace during the night. So settle on a color, let us know how to get the true faith jewelry to her and try to contain your excitement until it arrives.